Walker Movements are specialist truck exporters of used trucks to Cyprus. We handle everything for you, from delivery to the port, to all of the relevant paperwork and documentation. After you have agreed on the price and shipping details, our sales team will email you a proforma invoice with all of our bank details. Once you have paid in full, we will arrange to deliver your second hand truck to the UK port, to be shipped on the next available vessel to the nearest port to Cyprus. 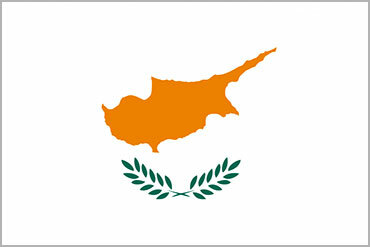 Our team has been trained specifically in the export and shipping of used trucks to Cyprus. If you require a shipping quotation or total loss insurance, then please do not hesitate to get in touch. For over 25 years, we have supplied our customers with the highest quality used trucks for sale to Cyprus. Our services are second to none and we can even organise a TBS road worthiness inspection prior to shipment to Cyprus for your peace of mind. If you would like to find out more, please have a look at the quality range of used trucks we stock for sale to Cyprus by browsing our website. Should you find a used truck you like, please fill out our online form with your location and the product you’re interested in and our dedicated team will get back to you with further details. We are the number one supplier of second hand trucks to any destination in the world, so make Walker Movements your first choice for shipments of second hand trucks to Cyprus. We regularly hold a stock of Scania and DAF tractor units, as well as Iveco, ERF, MAN, Renault, Mercedes and Foden second hand trucks for sale to Cyprus. In addition, we have a wide supply trailers which are regularly shipped to our customers in Cyprus. From the onset we sent an email enquiry from Cyprus and received a telephone call the next day. Dave, the salesman, asked exactly what we were after and came back to us in no time with the trailers we were looking for. As we are in Cyprus arrangements were made to get our trailers together with the unit we had also bought from the UK and taken down to Southampton for the vessel to Cyprus. As soon as we agreed on everything the invoice was sent to us, we paid and the deal was done. The service was excellent. We even texted Dave and he replied in no time when he was on holiday. Good service we say. Well done to everyone at Walker Movements, a very impressive service all round.